Despite the fact that the peppers called Bulgarian, he hails from North America. 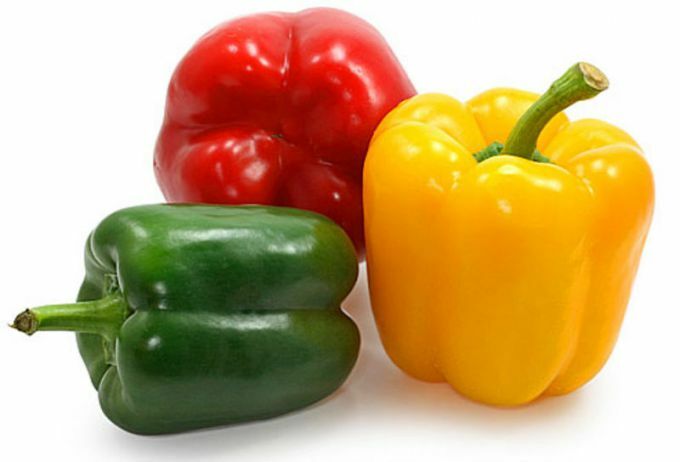 Now on the shelves and vegetable bazaars you can see a huge number of peppers in all colors and sizes, thick-walled bright they look, well, very appetizing. And how positively it affects the body, improves the circulatory system, useful for the prevention of cancer, rejuvenates the skin, reduces blood pressure, nourishes the body With vitamin C needed by pregnant and during pregnancy, helps to relieve eye fatigue, by the way, the largest number of vitamins near the peduncle, where the bulk of seeds. 20 years ago in Siberia and did not think that it is possible to grow peppers, but now why not, good seed lot for every taste, and conical, and oval, some just do not. But for Siberia remained a problem of how to grow big, juicy and bright peppers to avoid being eaten by the pests that they were with thick walls, not like cloth. Try to understand. Of course, pepper is grown from seedlings in the Siberian climate, and in Russia in General. Sow in peat pots, then immediately put them in the open ground, as swordplay pepper is not very good for the root system. Be sure to put under the glass or under the film and on the window sill, be aware that the side needs to be Sunny, peppers love the heat. Do not allow drying of the soil, they also love moisture, but do not overdo it, so the plant is not ill "the black leg", they create a greenhouse effect and they will thank you with a good harvest. At emergence of the first leaves is to do a home greenhouse, or cover with plastic glasses. Two weeks before planting in the open ground, the peppers need to prepare for temperature change, in other words, tempering, first take out the seedlings to an hour and a half on the street, or on the balcony and gradually increase the time to when landing in open ground the peppers were ready for the outside temperature. In the open ground the first time the peppers should be covered with a film, especially Siberian nights. And so no special care, abundant watering, hoeing, fertilizing and pest control, like the list is large, but in fact a five minute job. In winter, the peppers can be frozen, to cook delicious dishes, you can marinate a whole without the stalk, and in winter to make stuffed peppers, recipes, a thousand, fantasize and all of the rich harvest!